Here’s why we expect an uptick in demand for custom Java software development services after the Chrome announcement. The custom Java software development services community is abuzz with the news that the Chrome web browser’s newest release (version 42) has a default setting that blocks the Java plugin. 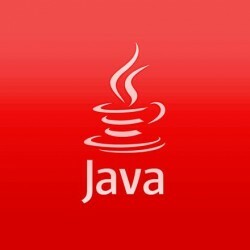 As of September 2015, even advanced users won’t be able to alter their settings to enable Java and other extensions, such as Silverlight, that use the deprecated NPAPI. Google’s stated goal for un-publishing this API for Chrome is to reduce the risk that certain known vulnerabilities in Java might be exploited. Other reasons to eliminate the 1990s plugin technology include its tendencies to hang or crash the browser and its unnecessarily complex code. Firefox and Safari, along with older versions of IE, still support NPAPI for now. However, major players like Netflix that previously relied on Silverlight have switched to other options such as Encrypted Media Extensions that meet modern web standards. This change could have significant ramifications for companies that use browser-based web applications as part of their business. For internal apps that are used by employees, specifying which browsers should be used for work purposes is a short-term workaround. But for customer facing apps that will be used on the browser of the user’s choice, some re-engineering and modernization will be required. Are you concerned about the impact of NPAPI deprecation for your business web applications? Contact Ayoka at 817-210-4042 to review your options.